Another new arrival, this time from California. 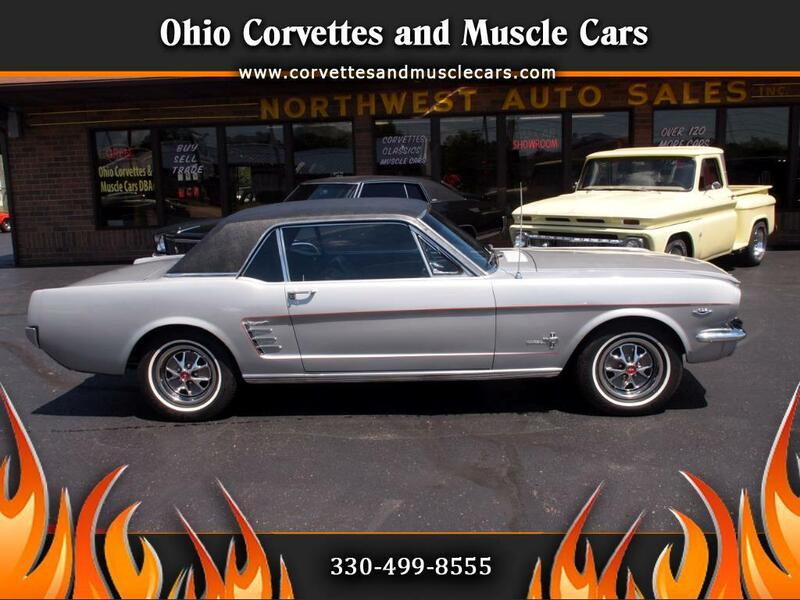 This is a super clean, unrestored 1966 Mustang coupe. This car has a California clean, solid under body. It equipped with power steering, factory Air Conditioning, Ford-O-Matic (3 speed) automatic transmission. The vinyl top shows no signs of bubbles underneath, and the paint is very nice. This is a great little Mustang that needs absolutely nothing to drive an enjoy. Mechanically it is very sound...steering is tight...brakes don't pull...transmission shifts correctly. All gauges work. This is a great Mustang ready to enjoy.